Our group has made significant contributions in the field of heterogeneous catalysis. We focus on understanding the underlying physical and chemical processes at work in heterogeneous catalytic systems and use this knowledge to guide us in the design of optimal catalysts. 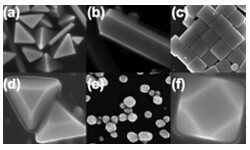 Our computational work focuses on gaining a better understanding of chemical transformations and catalytic activity using ab initio methods and developing physically transparent models. Alloying allows tuning of the electronic and geometric structure of catalysts to enhance certain reactions or to inhibit side reactions. We have used density functional theory calculations to predict that nickel/tin alloys could limit carbon mobility on the surface thus improving coking tolerance in high-temperature fuel cells. 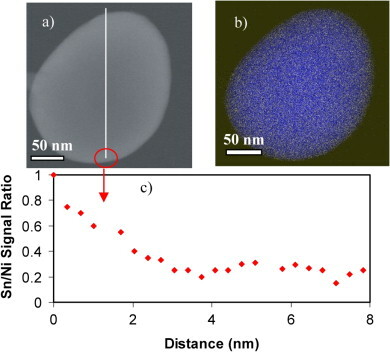 We have also used density functional theory to show that Ag(100) surfaces are more selective toward the partial oxidation of ethylene compared to Ag(111), suggesting that nanostructures dominated by Ag(100) facets could improve selectivity. In both of these cases, we were able to successfully synthesize the appropriate catalytic structures and verify our model predictions. Much of our experimental work is inspired by modeling which we use to identify the optimal active sites and optimal hybrid catalyst systems for chemical transformations. The next steps involve synthesis, characterization, and study of these catalysts in experimental reactor systems. Our material syntheses have involved perovskite oxides catalysts, ion-conducting solid oxide membranes, nickel-tin alloy nanoparticles, shape and size dependent silver nanoparticles, silver-platinum alloy nanoparticles, and many others. We characterize these materials with X-ray diffraction, Nitrogen physisorption, scanning/transmission electron microscopy, energy-dispersive X-ray spectroscopy, wavelength dispersive X-ray spectroscopy, UV-vis spectroscopy, IR spectroscopy, Raman spectroscopy, and others. We have studied many different heterogeneous reactions including oxidative methane conversion, hydrocarbon steam reforming, carbon monoxide oxidation, ethylene epoxidation, and water-gas shift reaction. Current members working in this area include Valentina Igenegbai, Rawan Almallahi, James Wortman and Ali Motagamwala. V. Igenegbai, R. Meyer and S. Linic, Applied Catalysis B: Environmental, 230, 29–35, 2018. H. Xin, S. Linic, J. Chem. Phys., 144, 234704, 2016. B. Farrell, V. Igenegbai, and S. Linic, ACS Catalysis, 6, 4340, 2016. B. Farrell, S. Linic, Catalysis Science & Technology, 6, 4370, 2016. B. Farrell, S. Linic, Applied Catalysis B: Environmental, 183, 386, 2016.
based on molecular descriptors and electronic structure engineering. A. Holewinski, H. Xin, E. Nikolla, S. Linic, Current Opinions in Chemical Engineering, 2, 312, 2013. 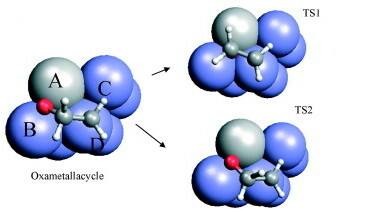 H. Xin, A. Holewinski, N. Schweitzer, E. Nikolla, S. Linic, Topics in Catalysis, 55, 376, 2012. 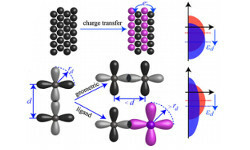 N. Schweitzer, J. Schaidle, E. Obiefune, X. Pan, S. Linic, L. Thompson, JACS, 133, 2378, 2011. S. Linic, P. Christopher, ChemCatChem, 2, 1061, 2010. H. Xin, S. Linic, J. Chem. Phys., 132, 221101, 2010. N. Schweitzer, H. Xin, E. Nikolla, J. T. Miller, S. Linic, Top. Catal., 53, 348, 2010. H. Xin, N. Schweitzer, E. Nikolla, S. Linic, J. Chem. Phys., 132, 111101, 2010. P. Christopher, S. Linic, ChemCatChem, 2, 78, 2010. S. Laursen, S. Linic, PCCP, 11, 11006, 2009. D. B. Ingram, S. Linic, J. Electrochem. Soc., 156, B1457, 2009. J. M. Carlsson, F. Hanke, S. Linic, M. Scheffler, Phys. Rev. Lett., 102, 166104, 2009. E. Nikolla, J. W. Schwank, S. Linic, J. Catal., 263, 220, 2009. S. Laursen, S. Linic, J. Phys. Chem. C, 113, 6689, 2009. E. Nikolla, J. W. Schwank, S. Linic, JACS, 131, 2747, 2009. P. Christopher, S. Linic, JACS, 130, 11264, 2008. 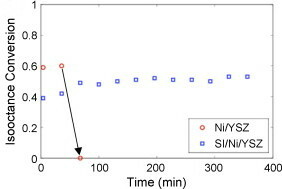 E. Nikolla, J. W. Schwank, S. Linic, Catalysis Today, 136, 243, 2008. E. Nikolla, J. W. Schwank, S. Linic, J. Catal., 250, 85, 2007. E. Nikolla, A. Holewinski, J. Schwank, S. Linic, JACS, 128, 11354, 2006. S. Laursen, S. Linic, Phys. Rev. Lett., 97, 026101, 2006. M. Enever, S. Linic, K. Uffalussy, J. M. Vohs, M. A. Barteau, J. Phys. Chem. B, 109, 2227, 2005. S. Linic, J. Jankowiak, M. A. Barteau, J. Catal., 224, 489, 2004. S. Linic, H. Piao, K. Abid, M. A. Barteau, Angew. Chem. Int. Ed., 43, 2918, 2004. S. Linic, M. A. Barteau, JACS, 126, 8086, 2004. S. Linic, M. A. Barteau, J. Catal., 214, 200, 2003. S. Linic, M. A. Barteau, JACS, 125, 4034, 2003. S. Linic, M. A. Barteau, Langmuir, 18, 5197, 2002. S. Linic, M. A. Barteau, JACS, 124, 310, 2002.